Gazprom Deputy Chairman said that China will begin the construction of its leg of the Power of Siberia gas pipeline on June 29. 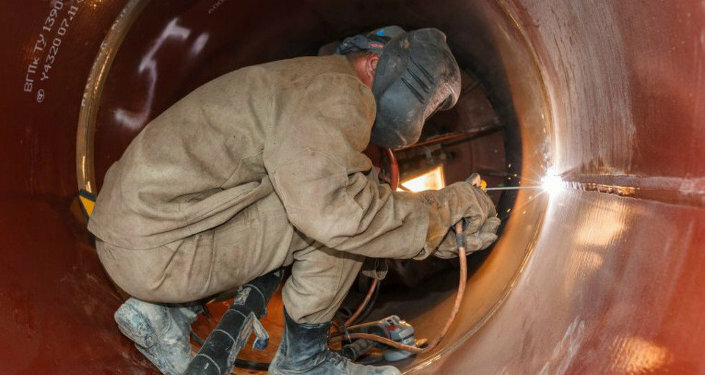 MOSCOW (Sputnik) – China will begin the construction of its leg of the Power of Siberia gas pipeline on June 29, Gazprom Deputy Chairman Alexander Medvedev said Friday. “Our contract defines flexibility in synchronizing dates, and on Monday the ceremonial beginning of the construction of the gas pipeline on Chinese territory, so from the moment the contract came into force from last year, we need four years for construction,” Medvedev said during a shareholders meeting. Gazprom signed a 30-year framework agreement with China National Petroleum Corporation (CNPC) on annual deliveries of 38 billion cubic meters of Russia's Far East gas in 2014. The Russian energy giant's deputy chair said China could postpone the Power of Siberia pipeline's exploitation by a year or two. However, Medvedev stressed, "we are receiving signals that they have neither the desire or the intent to move it." The construction of Russia’s leg of the 2,500-mile pipeline began last September, with initial estimates for the Power of Siberia gas-transmission system (GTS) to go on-stream in late 2017.